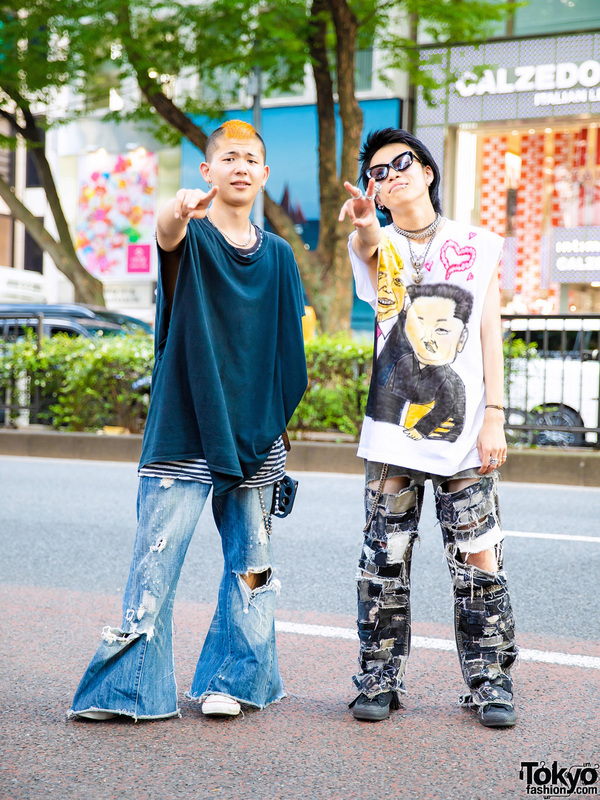 Harajuku guy wearing a black T-shirt, hand painted flared jeans, and black lace-up shoes. 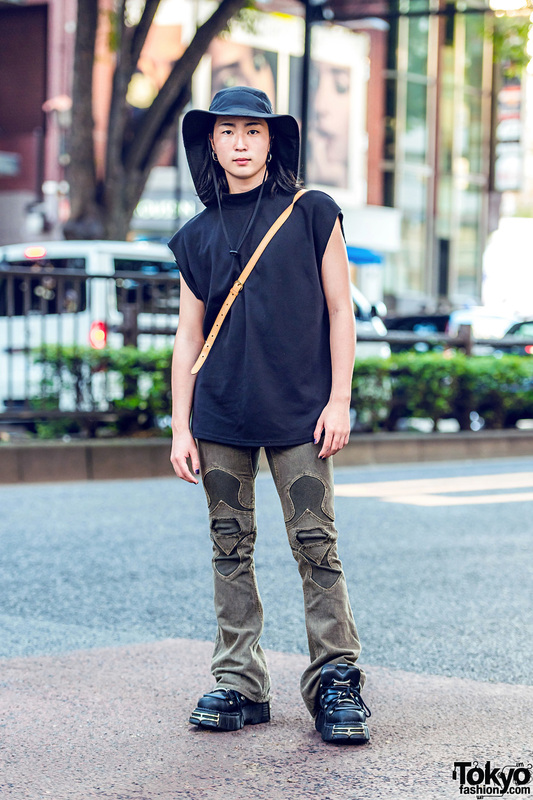 Japanese student wearing a wide brim hat, handmade top, and vintage jeans in Harajuku. 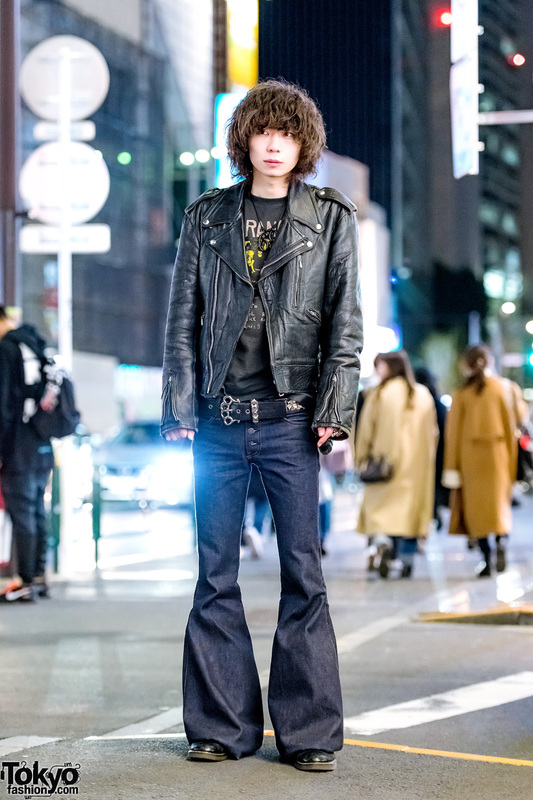 Harajuku guy wearing a black leather jacket, denim flared jeans, and black lace-up shoes. 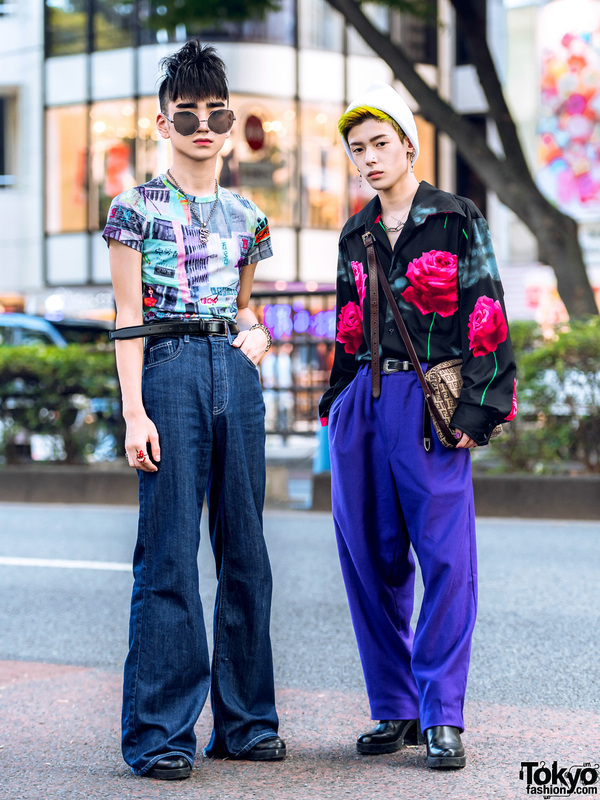 Harajuku guy wearing a floral print top, a black mesh shirt, flared jeans, and black boots. 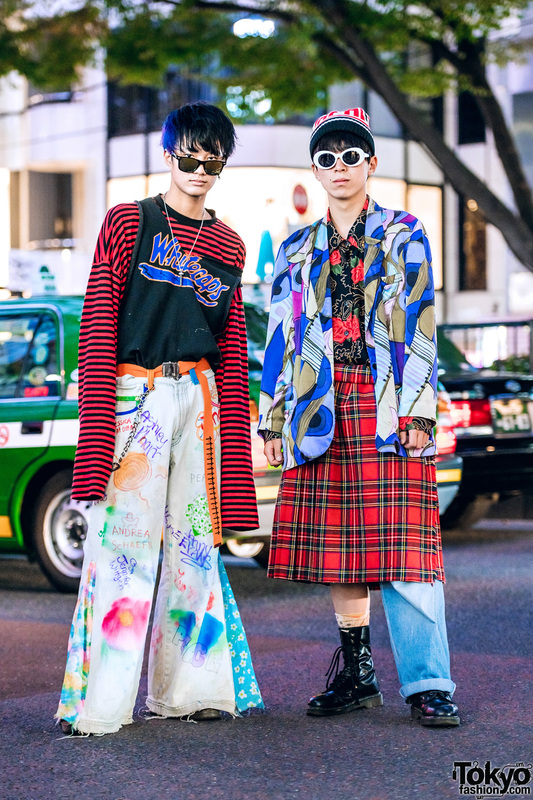 Punk-inspired vintage street styles in Harajuku. 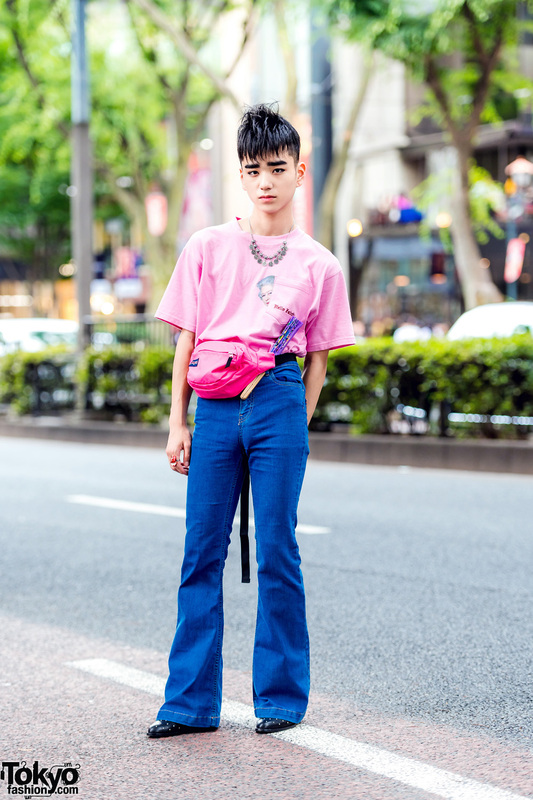 Harajuku guy wearing a pink t-shirt, flared jeans, studded boots and a pink waist bag. 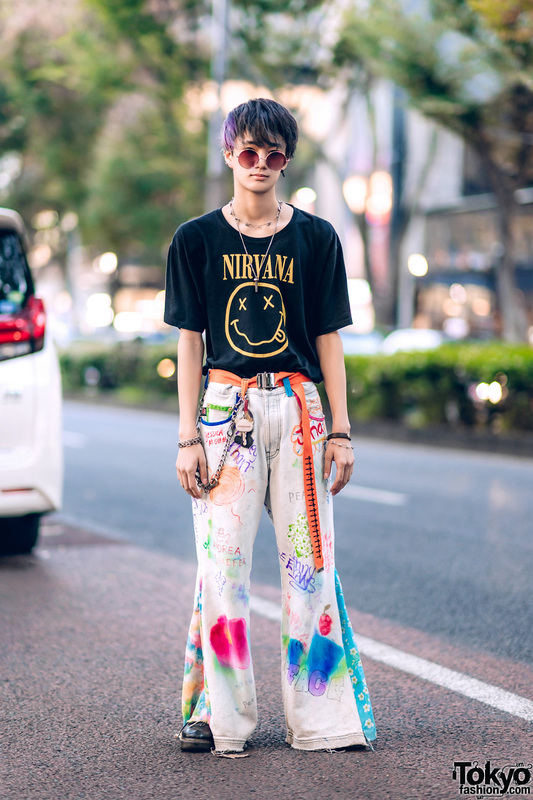 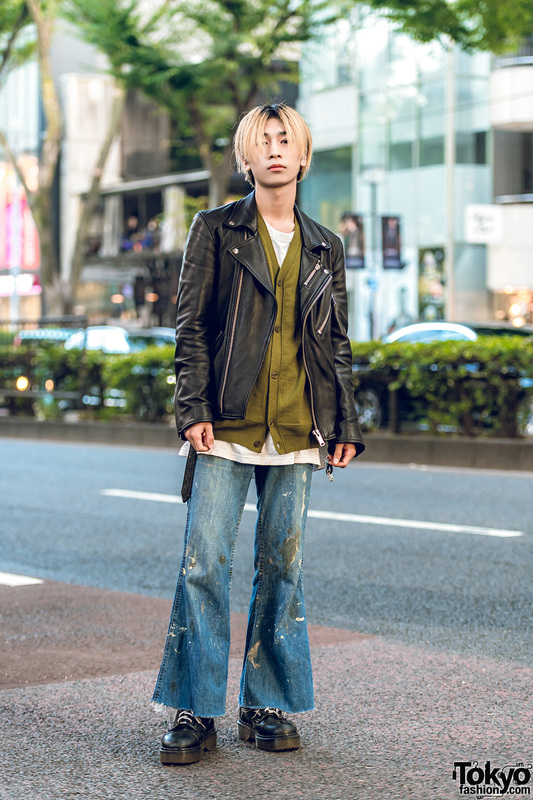 Harajuku guy showcasing punk-inspired streetwear style.